As an increasing number of businesses look to gain an edge over their competition, multilingual candidates are highly sought after in today’s jobs market. When the Confederation of British Industry surveyed 300 UK firms, two thirds said they preferred employees who speak more than one language. What’s more, 28% of participants said they believed bilingual employees would help build relationships overseas. 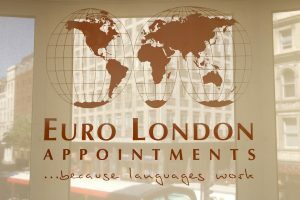 The CBI report highlighted French, German and Spanish as the European languages in highest demand, with figures suggesting the rate of usefulness to their business at 50%, 47% and 30%. We’ve highlighted three key reasons why multilingual candidates can add significant benefit to your business. If you’re looking to target specific regions across the globe, your bilingual employees will be a valuable resource to help you overcome those communication barriers. When your business has capabilities in another language, your target market automatically increases. It can be complicated to communicate with other cultures, but a multilingual employee will know how to use the right tone to reach out and relate to the right audience. What’s key, they will know when certain cultures require a sensitive or stern approach. Expanding your business overseas not only requires speaking and translation skills, you’ll need to master the appropriate business etiquette. For example, Chinese people will present items of importance with two hands and a slight bow. As such, an employee familiar with the culture will communicate more authentically and help you understand the fine details of doing business with that culture. With additional language skills you’ll be able to generate geotargeted, consumer-facing content that will foster increased interactions across your marketing campaigns. This can help build and strengthen potential business relationships in specific regions, increasing the scope of who you can sell to. Emerging studies of the brain reveal bilingualism increases cognitive brain-power, which could mean a more productive and effective employee. The research is still ongoing, but studies suggest that a multilingual person benefits from increased problem-solving skills, expanded vocabularies, better listening and interpersonal skills. Another study by Northwestern University revealed people who speak more than one language are able to process information at a faster rate than those who only speak one. Because they are switching back and forth between two languages, their brains are able to distinguish irrelevant information faster. Having an employee with a smarter and faster working brain can help you expand and reach new customers more rapidly. With a multilingual employee, you can provide better care to a more diverse consumer base. Being able to properly communicate and nurture larger demographics puts your company at a huge advantage. Queries, complaints and interactions can all be dealt with swiftly and in the most appropriate manner according to your region specific market. Each customer experience will be more personalised to your target market as the employee will be able to interact using the individual language nuances and cultural etiquette. It’s no secret that having a multilingual employee will allow your business to become more diverse and globally connected. So if you’re looking to achieve global expansion, hiring multilingual employees could be a crucial move for the future of your business. Where do you stand? Do you think candidates with multilingual skills are vital for global success? Two months on – what do we now understand about Brexit? What incentives can you put in place to attract the best candidates?